National and international socialism united! Romania struck down its Comstock laws and legalized female individual rights back in the 1950s, before there were birth-control pills. Communist dictator Nicolae Ceausescu in 1966 decreed American-style Comstock coercion of the sort President Grant had signed in 1873. 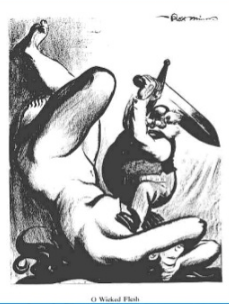 Both laws banned pregnancy termination, contraceptives, publications or even private speech about such subjects and provided fines and imprisonment. 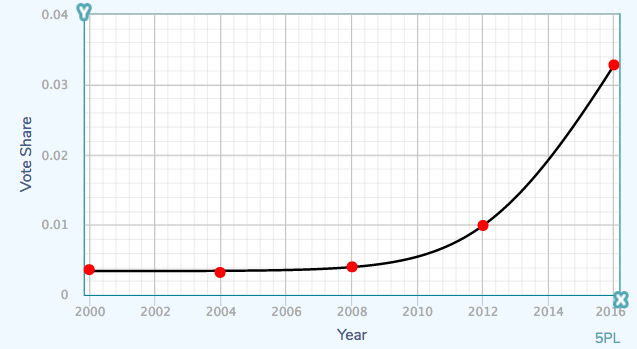 The Romanian birth rate doubled in 1967, and the maternal mortality rate tripled under Ceausescu’s use of national State coercion to ward off the “race suicide” danger Republican Theodore Roosevelt penned, opening the gates for collectivist eugenics with forced labor replacing the individual rights of women. Ceausescu immediately became the fair-haired boy of the Republican party. 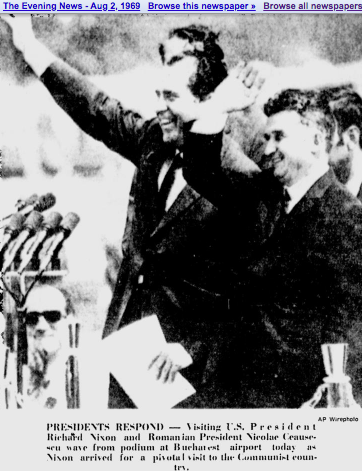 Nixon in 1972 made a point of aping Ceausescu’s visit to China the previous year. Dixiecrats sought to emulate Ceausescu’s Lebensborn policy of stripping women of rights and sending them into forced labor. This they accomplished by threatening (and occasionally shooting) physicians. 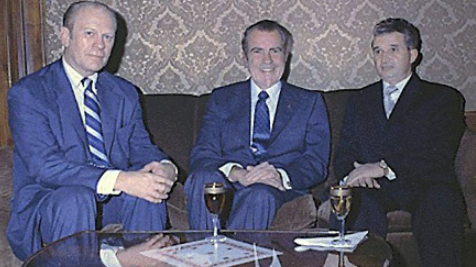 As late as 1983, Republican Vice President George H. W. Bush referred to Ceausescu as “the good communist”. The Prohibition party has dropped this plank and opted to instead support the Gospel of Global Warming. 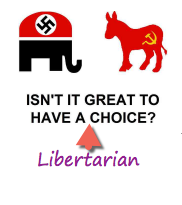 But like Rumanian communism or an Orwellian Inner Party, the Republican party faithful look at the Fourteenth Amendment’s “All persons born” and see instead “All ova fertilized…”. No clearer example of the self-deception that forms the basis of totalitarian altruism has ever been presented. If in need of a multilingual researcher of legal, financial and political topics, seek out a libertarian translator or two. Feel free to visit my other blog. 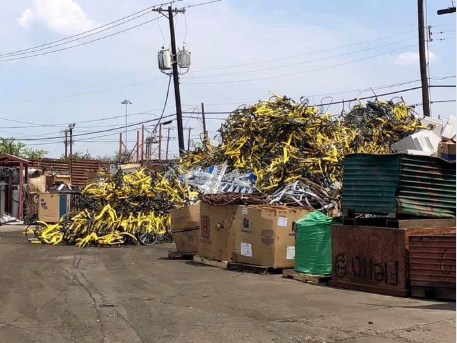 Dallas’ looter government ruined Yellow Bike companies with fees, taxes and regulations. Hello Starnesville! —Rudy Giuliani, asked how he could be sure Trump had no advance knowledge about the June 9th Trump Tower meeting. —Dr Robert Stadler, Atlas Shrugged. If you ever need a translator able to focus on the details in Spanish, Portuguese or English, drop me a line or visit. The same Republican party that made misdemeanor light beer a federal felony in 1929 had already banned all forms of birth control and related speech since 1873 (when several Democratic States could not vote). 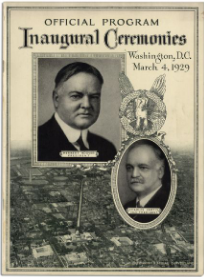 Even mentioning condoms and diaphragms was still illegal until after Herbert Hoover was defenestrated and the repeal of prohibition laws began in earnest. The Confederacy lost the war, was occupied by federal troops, and its representatives barred from standing for office or voting. The result of this first voter suppression gambit was that the Republican candidate got 214 electoral votes to the Democrat’s 80. 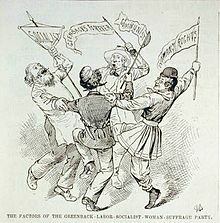 Nearly 3/4 of the votes that count were interpreted, with whoops of joy, as a mixed-economy mandate for the victorious coalition of Christians and Socialists in November 1868. The parent act was passed as a postal regulation in 1872, which empowered former Union solder Anthony Comstock (author of Frauds Exposed—an attack on free-speech Liberals), to decide what could be sent by mail and burn what couldn’t. “Liberals” at the time meant social libertarians bent on repealing censorship laws passed in 1865 with the Union victory. Here is the real 1872 parent law that allowed the infiltrator into the postal monopoly. The 1873 amendment made this bad law much worse. Read the official original that transformed the postal monopoly to ban Evil Reading! 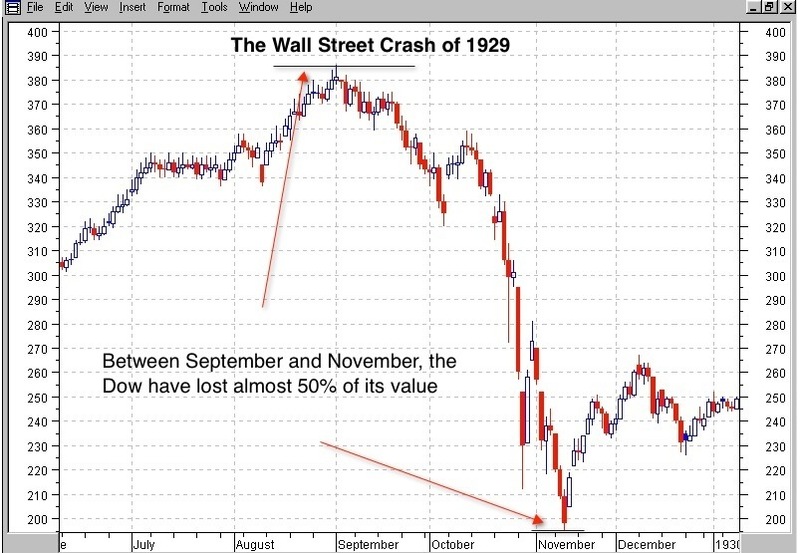 With that crashing foot in the door, the rest of the world horrified and the economy in a deep depression, the law quickly got much worse. Here is the text of the Comstock law. March 3, 1873, 42nd Congress, page 1873, amending the already harsh and lengthy postal monopoly law of June 1872, which allowed Comstock himself to meddle in the mail service and begin book burning as an American tradition…. CHAP. CCLVIII—An Act for the Suppression of Trade in and Circulation of, obscene Literature and Articles of Immoral use. Be it enacted by the Senate and House of Representatives of the United States of America in Congress assembled, That whoever within the District of Columbia or any of the Territories of the United States, or other place within the exclusive jurisdiction of the United States, shall sell, or lend, or give away, or in any manner to exhibit, or shall offer to sell or to lend, or to in any manner exhibit or shall in any way publish or offer to publish in any manner, or shall have in his possession, for any such purpose or purposes, any obscene book, pamphlet, paper, writing, advertisement, circular, print, picture, drawing or other representation, figure or image on or of paper or other material, or any cast, instrument, or other article of an immoral nature, or any drug or medicine, or any article whatever for the prevention of conception, or for causing unlawful abortion, or shall advertize the same for sale, or shall write or print, or cause to be written or printed, any card, circular, book, pamphlet, advertisement, or notice of any kind, stating when, where, how, or of whom, or by what means, any of the articles in this section hereinbefore mentioned, can be purchased or obtained, or shall manufacture, draw, or print, or in any wise make any of such articles, shall be deemed guilty of a misdemeanor, and, on conviction thereof in any court of the United States, or in any Territory or place within the exclusive jurisdiction within the United States, where such misdemeanor shall have been committed; and on conviction thereof, he shall be imprisoned at hard labor in the penitentiary for not less than six months nor more than five years for each offense, or fined not less than $100 nor more than $2000, with costs of court. SEC. 3. That all persons are prohibited from importing into the United States from any foreign country any of the hereinbefore-mentioned articles or things, except the drugs hereinbefore-mentioned when imported in bulk, and not put up for any of the purposes before mentioned; and all such prohibited articles in the course of importation shall be detained by the officer of customs, and proceedings taken against the same under section five of this act. SEC. 4. That whoever, being an officer, agent, or employee of the government of the United States shall knowingly aid or abet any person engaged in the violation of this act, shall be deemed guilty of a misdemeanor and, on conviction thereof, shall for every offense be punished as provided in section two of this act. SEC 5. That any judge of any district or circuit court of the United States within the proper district, before whom complaint in writing of any violation of this act shall be made, to the satisfaction of such judge, and founded on knowledge or belief, and, if upon belief, setting forth the grounds of such belief, and supported by oath or affirmation by the complainant, may issue, conformably to the Constitution, a warrant, directing him to search for, seize and take possession of any such article or thing hereinbefore mentioned, and to make due and immediate return thereof, to the end that same may be condemned and destroyed by proceedings, which shall be conducted in the same manner as other proceedings in case of municipal seizure, and with the same right of appeal or writ of error: Provided, That nothing in this section shall be construed as repealing the one hundred and forty-eighth section of the act of which this act is amendatory, or to affect any indictments heretofore found for offenses against the same, but the said indictments may be prosecuted to judgment as if this section had not been enacted. APPROVED March 3, 1873. We consider abortion to be morally repugnant. We will implement policies to minimize the number of abortions without infringing on the doctor/patient relationship and without thrusting government into family decisions about child rearing. Abortion procedures should not be funded by government. 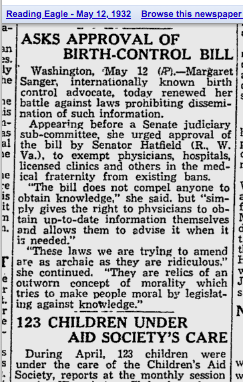 Before the Roe v. Wade decision incorporated the Libertarian plank into jurisprudence, the Democrats and Republicans, content with the Comstock laws, had nothing to say about birth control. Then for 46 years Republicans and Prohibitionists yelped for an Amendment to override the Supreme Court. Today these anti-individualist looters stoop to infiltration, exploiting our resentment of the income tax they themselves imported from Germany, instead of calling for its repeal. The prohibitionist-inspired straddle plank is an affront to self-ownership and individual rights and ought to be deleted entirely from the LP platform. If you ever need a court interpreter for legal research in a bilingual case, see pi for portugueseinterpreter. My other blog is in Brazilian.